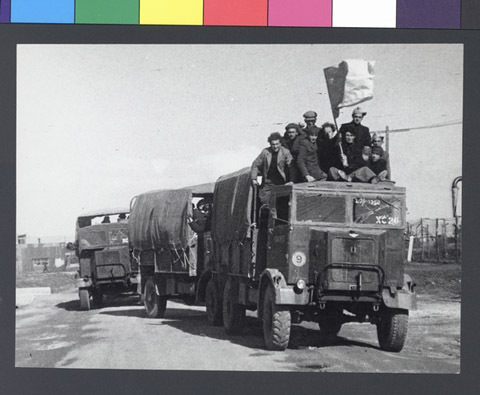 JDC - Archives : The last group of refugees leaving the Cyprus camps via truck. Title The last group of refugees leaving the Cyprus camps via truck. Description The last group of refugees leaving the Cyprus detention camps via truck, where they will then board a ship to take them finally to Israel.